Tim told me he would meet me this morning at the house at 8am for our ride. He was late. I guess he won't speed on Fox Run Road anymore. 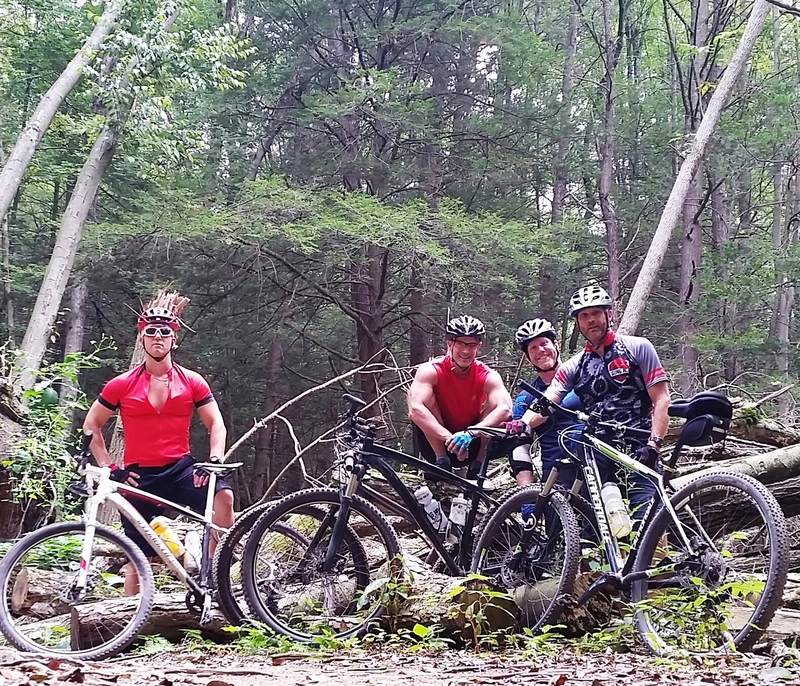 Today turned into a $200 mountain bike ride for him. He won't be buying that new front fork for his bike anytime soon. We had a fun crew today. Matt was able to meet us and my neighbor, Brent, was also able to come. 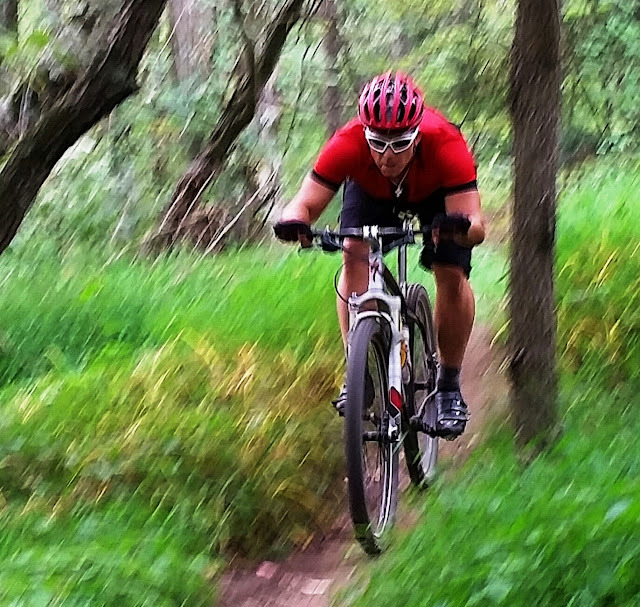 Brent is a heck of a mountain biker, but recently, has been down on his luck. In the last year he has had knee surgery and shoulder problems. 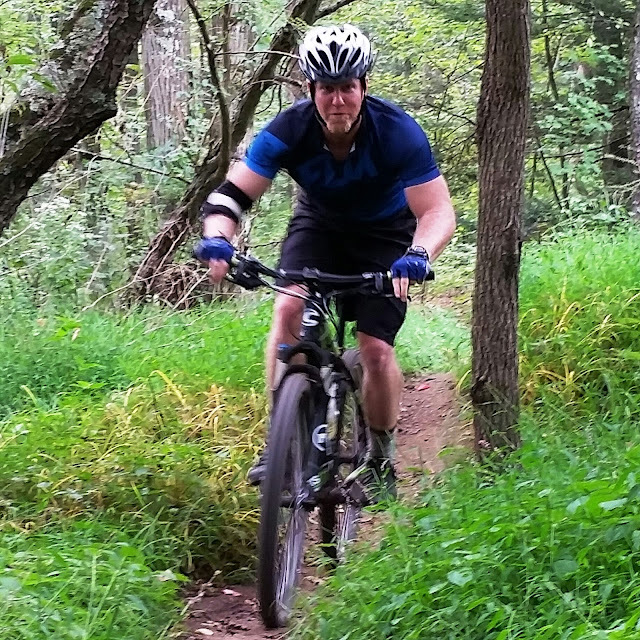 Today was, I believe, only his second day out on the trails this year. Good to have him back! We chose to ride Swatara State Park just to get away from rocks for a while. 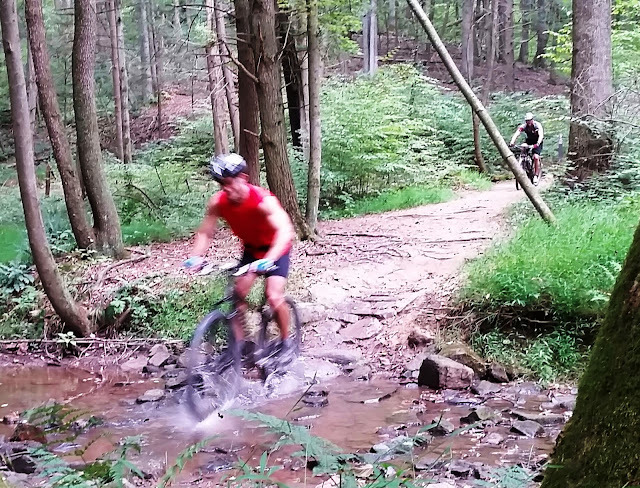 The trails at Swatara are twisty, turny, and, for the most part, rock free. We figured it would be a great place for Brent to get back into the swing of things after his recent woes. Mountain bike trail map of Swatara Gap State Park. The "A" trails are on the left. My favorite part of the park. 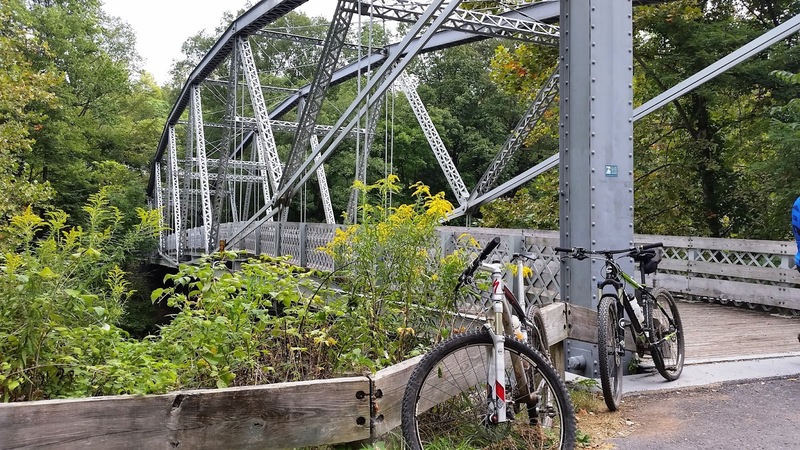 My favorite thing about Swatara Gap is that we rode 12 miles in under one in a half hours. No big climbs and nothing too technical....yet it is challenging, fun, and you get a heck of a work out in. Constantly pedaling and constantly moving. 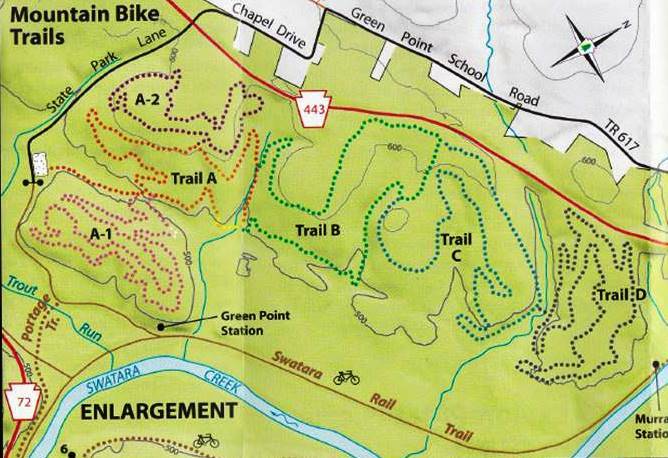 Looking at a map of the mountain biking trails at Swatara will make your head spin. They loop...and twist...and turn... constantly swooping from one direction to another. The "A" loops are, by far, my favorite part of the park. Just plain fun....and it doesn't matter whether you ride them clockwise or counter-clockwise. They roll both ways. We ended our ride today with a quick detour over to the old iron bridge that crosses the Swatara Creek. 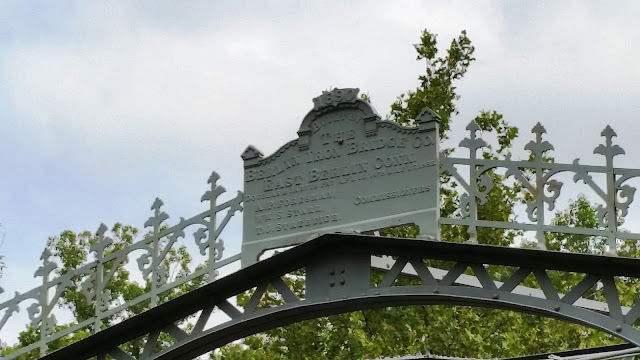 The area was once part of the Union Canal that, at one time, linked Middletown on the Susquehanna River below Harrisburg to Reading on the Schuylkill River. 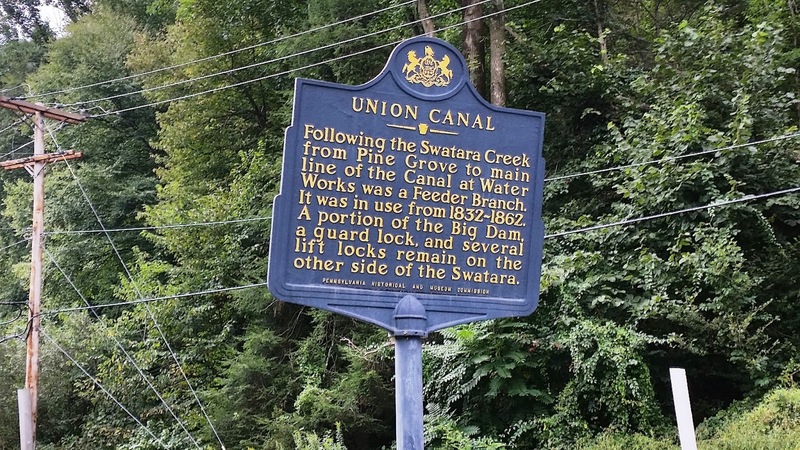 Construction on the canal began in 1792 during the Washington administration. Financial difficulties delayed the completion of the canal until 1828. 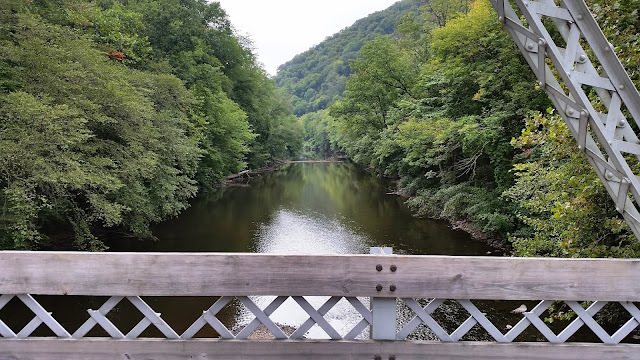 It provided a critical early transportation route for the shipment of anthracite coal and lumber eastward towards Philadelphia. Manufactured goods were then brought back to Pennsylvania's rural inland area. The canal closed for good in the 1880's because of competition from railroads between Reading and Harrisburg. 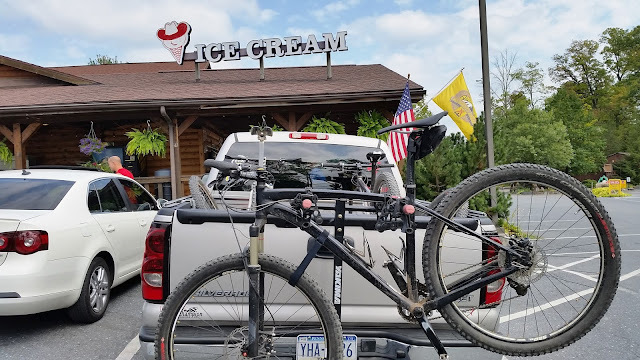 Naturally, towards the end of our ride today, the discussion turned to ice cream. We decided to head to the camp shop at Jonestown KOA just down the road from the state park. One of the best choices that we made today. We were greeted with a huge porch, rocking chairs, and a huge selection of Turkey Hill ice cream. 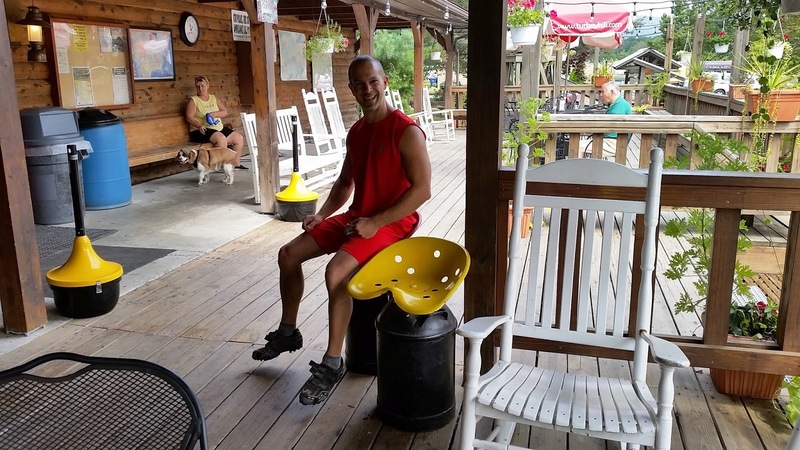 It turned out to be the perfect place to relax....and have a little fun. I will definitely make it a habit on my trips to Swatara Gap. 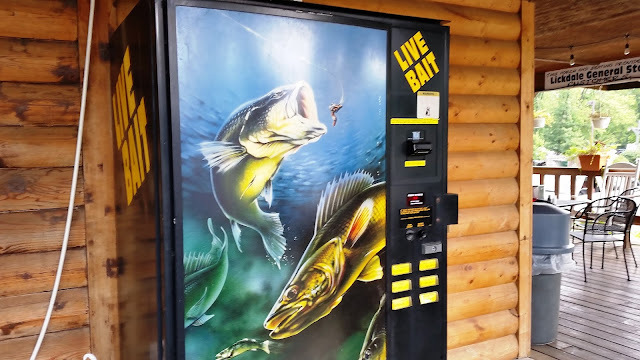 Heck...they even sold live bate from a vending machine! Now that's convenience! It turned out to be a perfect morning. 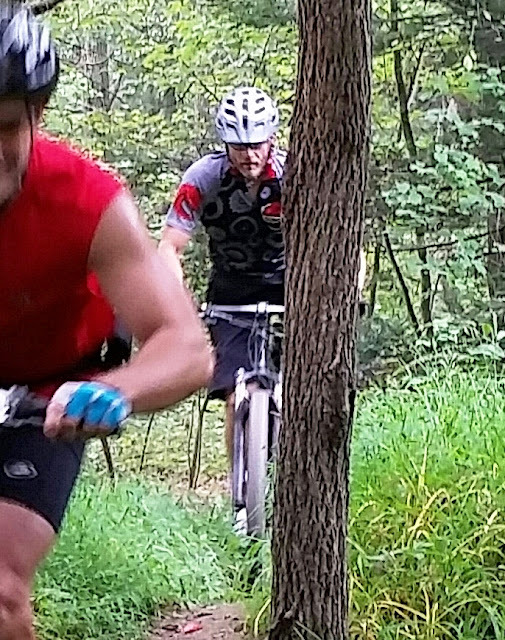 A combination of good friends, good conversation, good trails, and good ice cream. And...no one (even Brent) got hurt. That's the cherry on top.